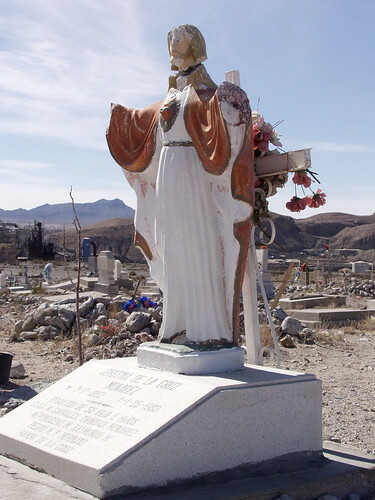 Tucked away high on a bluff off of I-10, is probably one of the most striking sights you will see on the westside of El Paso. 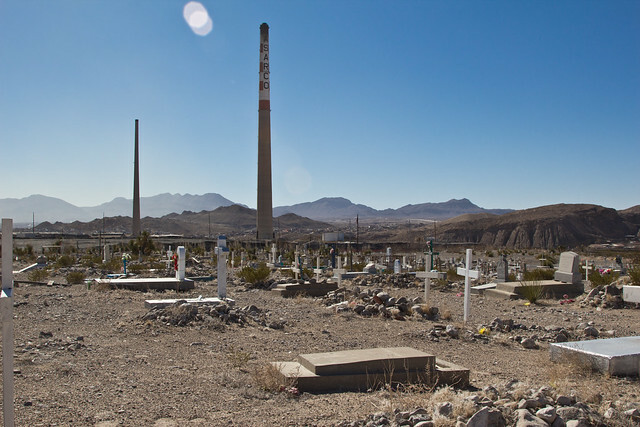 The Smelter Cemetery sits in the shadow of Asarco’s huge stacks, a striking juxtaposition of industrial might to the bleak serenity of the cemetery’s many white crosses. You’ed almost not know the cemetery is here unless you really looked around while sitting at the Executive exit light. 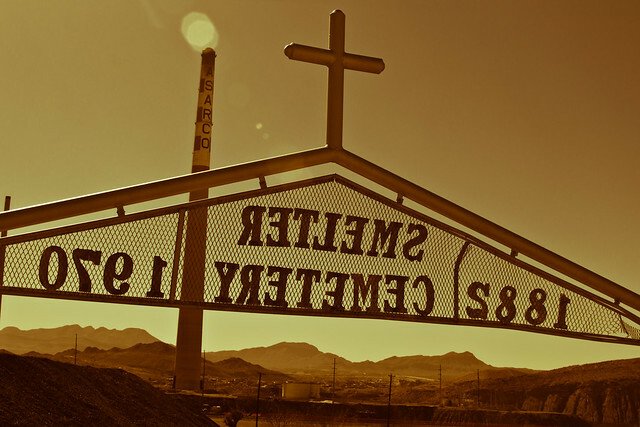 There’s no signs and where it sits on the hill causes it to blend into the desert. 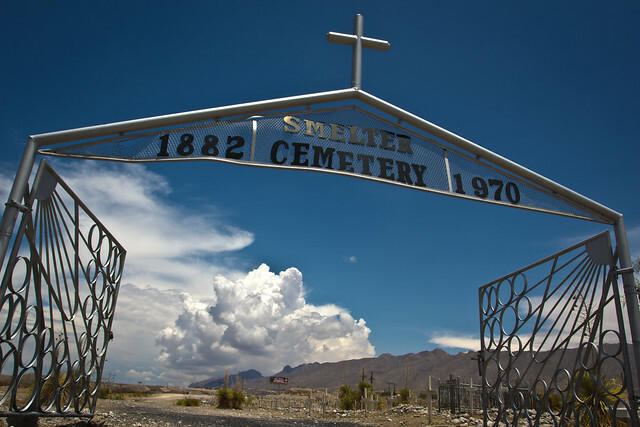 It’s accessible from a dirt road off of San Marcos drive though there is a gate that is usually locked, preventing driving access to the main entrance. A sign states that a key is available in the San Marcos neighborhood but I usually just park and walk, its not too far. The entrance is very utilitarian. The welded pipe and mesh are the biggest clue to the sites working class roots, most likely from the very same stacks towering above. I’ve been here many times and it’s always well maintained. 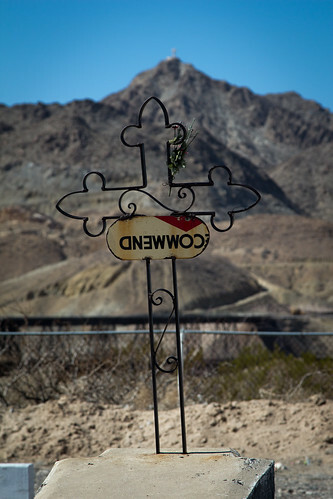 There is some irony in the current dismantling of the Asarco site. 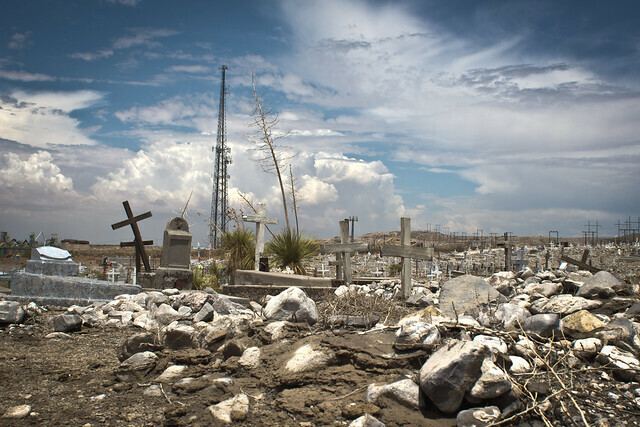 Many of the cemetery’s residents were put here by those very stacks and they soon may be blown up leaving the cemetery as the last record to the cemetery’s industrial past. 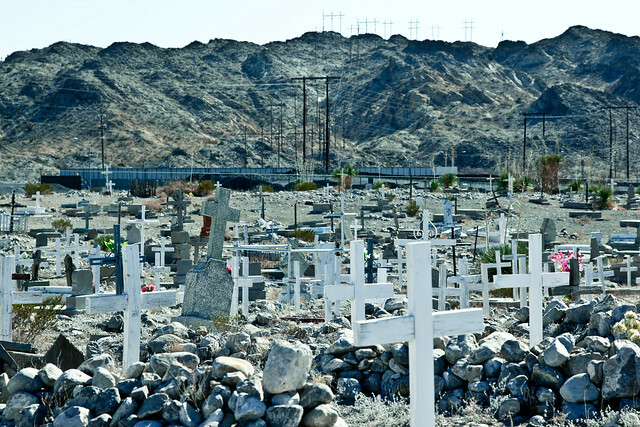 Interestingly the cemetery did have a brief appearance in the NBC miniseries “Kingpin” in 2003. There was a scene where the main drug lord character meets with a DEA agent for information. 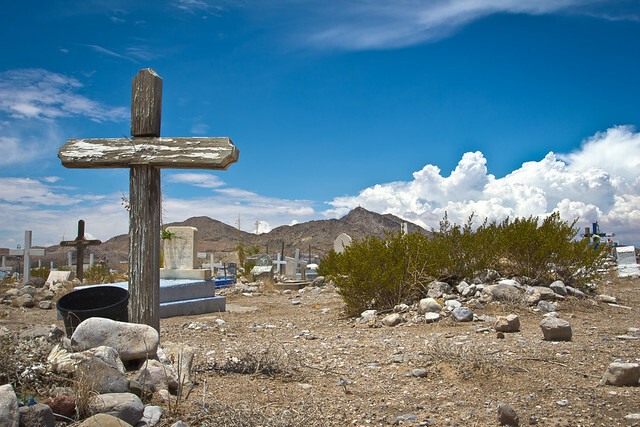 The meeting takes place somewhere in or around the cemetery. I was probably one of 5 people who actually watched that miniseries but the scene stuck in my head and lead me to actually try and find out if the location was real. 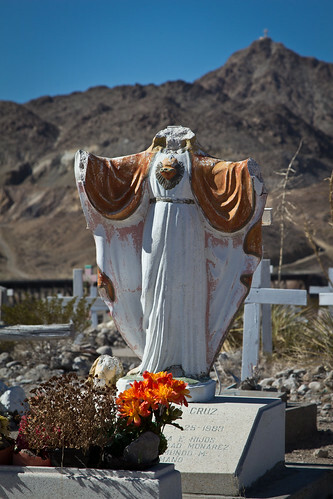 There are a bunch of unique grave markers, many handmade, which make the visit worth the short hike.